Separation can be difficult enough without the added complication of a drawn-out and expensive settlement process. You can reach agreements, ready to be lodged with the Family Court, within a 2-Day mediation process. A Lawyer Assisted Mediation Process (LAMP) involves yourself, your ex-partner, your respective family lawyers, and a professional mediator for the purpose of quickly reaching mutual agreement. Insight Dispute Resolution provides solution-based resolution intervention that is both cost effective and timely. This prevents any ongoing emotional and financial stress. This process is generally used for Family Dispute Resolution where parties are separating or newly separated and need to figure out property and child care arrangements. Working closely with a mediator and your lawyer means working within the parameters of the Family Law Act, as well as the Family Dispute Resolution process, and within a short timeframe. This is a much faster process than working individually with your lawyer and communicating back and forth to reach agreements for parenting plans and financial separation. Both the lawyer and the mediator have important roles to perform during this process, which results in an informed, timely, and practical resolution. We know this process can be very sensitive for all parties involved, therefore we ensure it’s a fast one. All parties, including the solicitors are invested in reaching agreement within a short time frame during the LAMP. This means you’ll everybody gets to hear the same information first hand at the same time, ensuring a transparent process and reducing hearsay and miscommunication. 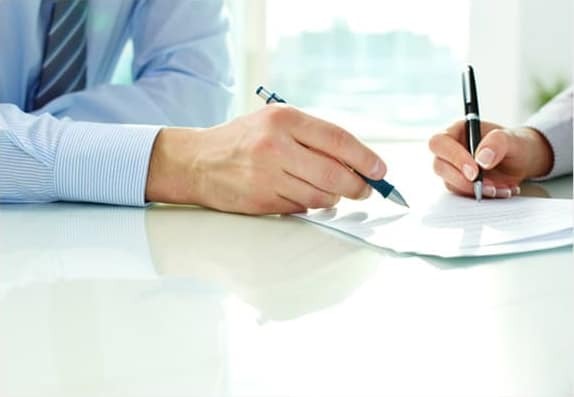 In addition, you’ll avoid the unnecessary costs associated with prolonged legal correspondence, and come away more confident that the decisions reached are going to be accepted in the Family Court as you have had your lawyer present during the process. In many cases of separation, both parties will receive advice from their respective and different lawyers. This advice is given from the perspective, recounts, and information provided by one parent only. The lawyer working to their timeframe, and towards a goals set by the client. However, to avoid this isolation and unnecessary delays, it is helpful for parties to come together and collaborate on a fast and effective resolution. This is much more affordable for families also as the need for continuous legal support is dropped. If you cannot afford to engage a lawyer for the duration of the LAMP process, you can alternatively arrange with them to ask questions and gain advice during the mediation process. However, it is necessary that you have access to a lawyer for this process to proceed. The mediator and your appointed lawyer will prepare a time frame considering any important deadlines. Pre-mediation/intake session will be conducted with the individuals to determine how to proceed. The lawyer will prepare an Interest Statement on your behalf and with your help to reflect your goals, possibilities, and interests. This will be submitted to the mediator. Mediation will occur with both parties, taking into account the legal obligations of each party and the Interest Statement. Both parties attend with their respective lawyers to focus on parenting issues. Both attend with lawyers to focus on financial issues. After mediation the mediator will follow up for feedback and check-in. Days are generally split into half-days to provide the opportunity parties go away and process information, as well as discuss with any other key parties involved with caring for the child. In our experience, we understand that lawyers are able to provide more accurate and useful legal advice throughout the mediation process as information is delivered. With their involvement, effective professional collaboration can occur to assist parties to make long-term and lasting decisions. Having your lawyer present can also be reassuring that you will come to an amicable, sustainable, and practical outcome to suit you and your ex-partner. If you’d like further information on the 2-Day LAMP® don’t hesitate to contact us at Insight Dispute Resolution today on 0423 826 222. Mediated resolutions are more likely to be followed through, are more sustainable, and you and the other parents are more likely to commit to your decisions.